This privacy statement contains our information, explains personal data and the processing of personal data and for what purposes we process your personal information. It explains your rights, what we do to ensure your personal data are safe and how long they are stored. This privacy statement applies when you visit our website (www.acai-benelux.eu), place an order or close contracts. Wish to know which personal data we processed? Send an email to sales@acai-benelux.euwith a request for access to your data. You will receive a response to the request within four weeks. Are your personal data incorrect, incomplete, irrelevant for the purposes for which they are processed or otherwise in breach of the General Data Protection Regulation (GDPR) or other legislation? Then you have the right to correction of your personal data. Correction means correction, addition, deletion or blocking of your personal data. You also have the right to object to the processing of your personal data, the right to have less data processed, the right to withdraw permission you have given and the right to data portability. Send your request to sales@acai-benelux.eu. Or contact us by phone: 085-3036417. You will receive a response to the request within four weeks. We would also like to point out the possibility of submitting a complaint to the Dutch Data Protection Authority. We place functional cookies to make our website work well. No permission is required for placing these cookies. This concerns cookies that make sure preferences are saved, information is remembered when you go to another subpage, it is remembered if you have given permission to post cookies, the shopping cart is working and data is remembered for the ordering process. To share content from our website on social media, Facebook, Twitter, LinkedIn, Google+, Pinterest, Instagram will place cookies. For watching videos, cookies are placed by YouTube. To show maps, cookies are placed by Google Maps. Google Chrome:Go to Settings, click Advanced Settings, click Clear Browsing Data, select Cookies, and Other Site and Plugin Details, and then click Clear Browsing Data. Internet Explorer:Go to Settings, click Clear Browsing Data, select Cookies and Saved Website Data, and click Delete. Safari:Go to Preferences, click Security, click Show Cookies, click Delete All, or select one or more cookies and click Delete. By visiting and using this website www.acai-benelux.eu you agree to be bound by this disclaimer and the conditions contained in this disclaimer. All information provided on or through this website is of a general nature, no rights can be derived from this. Upon composing and maintaining this website ACAI Benelux acts very carefully. The sources and references have also been examined by ACAI Benelux for reliability. Despite such care ACAI Benelux cannot guarantee the correctness, completeness and timeliness of the information. ACAI Benelux expressly rejects any liability for the accuracy, completeness, timeliness of the information and the use of this website. The information on and through this website offered by ACAI Benelux can be printed or downloaded for personal use. 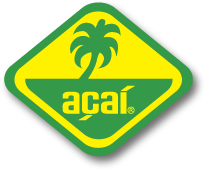 However, it is strictly prohibited to disclose, copy or distribute this information or take any other action that is inconsistent with the intellectual property rights of ACAI Benelux. All the information offered by ACAI Benelux on or through this website may be changed without notice. The text of this disclaimer is also subject to change without notice. ACAI Benelux encourages you to check regularly if the offered information and the text of this disclaimer has been modified.